Explain this joke to me. 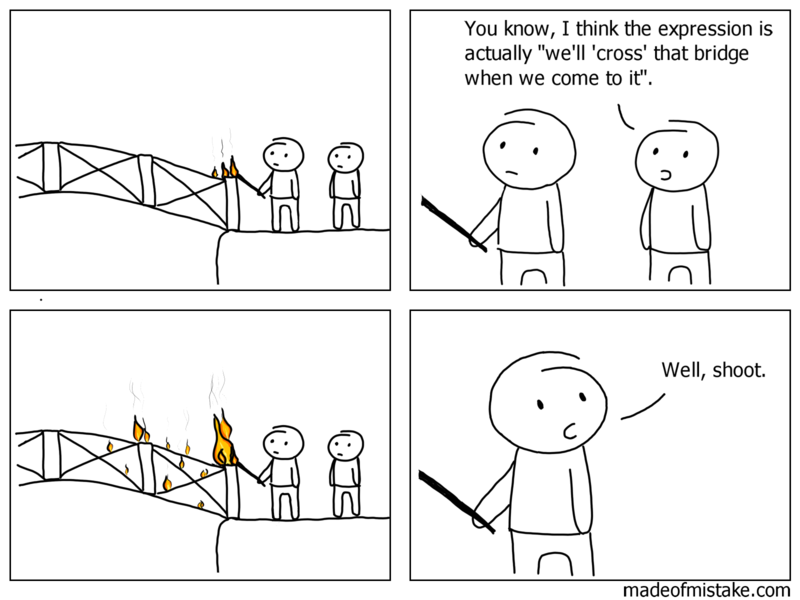 In Sun Tzu's Art of War we learn that bridges are made of wood specifically so that they may burn. The enemy will be confused by your insanity and will offer you hot tea.